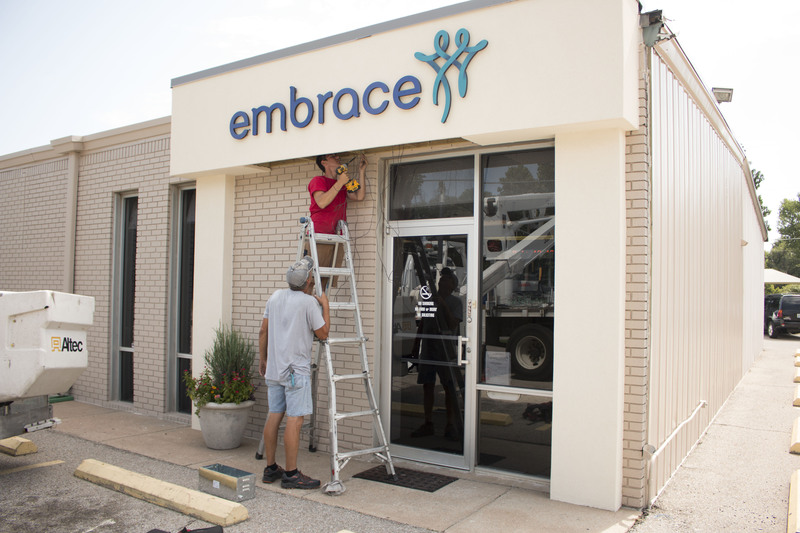 Embrace of Wichita needs committed Christian women and men who will share the unconditional love of Christ and speak His truth to women and families who enter our door. Consider helping in one or more of the following ways. Advocates provide peer counseling to women, men, and families who may be experiencing an unplanned pregnancy. Volunteers listen to the client’s circumstances and needs and offer information and resources. This 3 hour a week position requires client advocate training, provided by Embrace. Contact Raquel if interested by phone or email. Spanish-speaking volunteers serve as client advocates or interpreters we could call when needed. Translation of written materials is also needed at times. For more information, contact Raquel by phone or email. Board members bring experience and guidance to our Center from differing backgrounds in the professional world. If you are committed to the mission of Embrace and would like to serve in this way, contact Tim by phone or email. There are lots of moving parts that keep the Center up and running. From deep cleaning, remodeling, yard work, or inventory, we welcome your help! If you or your group have an interest in volunteering in this way, call & let us know. Every Mother’s Day marks the start of our annual Change For Life fundraiser. We partner with area churches by handing out empty baby bottles that your congregation can take home, fill with spare change & return on Father’s Day. If you’re interested in participating in this year’s Change For Life, contact our coordinator for more information. Clients that complete a parenting class have the option to earn supplemental material support for their baby up to 1 year of age. All of those items (including diapers, wipes, formula & clothing) are donated to the Center & Christmas is the time to fill the closet! This holiday season, be on the lookout for a tree with Embrace ornaments at your local church & get the family involved to help moms & dads in our community. Receive relevant information about Embrace every month by joining our mailing list. We promise not to spam you or share your information with a third party.